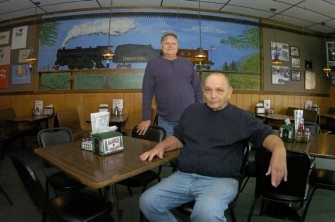 Richard Adamchick, front, and Myron MickiewiczThe name Pizza Perfect is more than a moniker for our Trucksville, Pennsylvania restaurant. It's a statement of the goal set by its original owners Myron Mickiewicz and our father Richard Adamchick, when they first opened Pizza Perfect in 1975. They wanted to make their pizza perfect. Our restaurant has operated out of the same Carverton Road location for over 40 years. Not much about the business has changed in that time, except the increased number of our customers. Pizza Perfect maintains a family-oriented atmosphere. Customers who sat on the counter as children while their parents picked up pizza are now bringing their children into the restaurant. 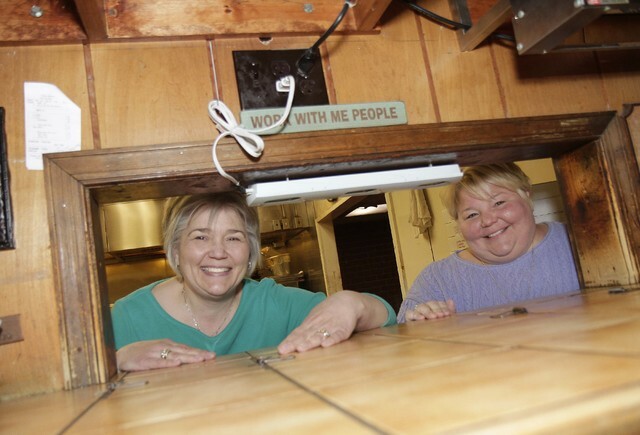 When Richard Adamchick passed away in 2015, his daughters Janine Hudak and Tammy Lemelin took over management of the restaurant. As their father Rich always said: "Always be consistent. Never forget where you came from. Treat people how you want to be treated." - And that's exactly what we've always done here at Pizza Perfect. There's always someone from the Adamchick family on-site, and we feel blessed to be such a consistent part of our local community - a community that we love. Janine Hudak and Tammy LemelinTheir mother, Louise, still works at the business. Janine and Tammy are thankful people continue to embrace their unchanging staples, including regular customers who have been coming for decades and now bring their grandchildren. Pizza Perfect's food has been part of countless community meetings, celebrations, awards ceremonies and other gatherings. The dining room is decorated with toy trains, a theme customers enjoy. A large train circles the inside of the restaurant on tracks attached to the ceiling. Pizza isn't the only item on the menu. We also offer wings, burgers, sandwiches and barbecue.